Imagine that your home is the Salish Sea. You can swim but have no eyes. You have a ridged white shell for protection. You have the power to turn an irritating piece of sand into a beautiful pearl. You are a clam… but no ordinary clam. You’ve grown up in a carefully tended garden and one day, when you are older, you will be chosen for harvest. This year, us Redfishies connected with Parks Canada employees Ali and Sky, to take part in clam garden restoration on Russel Island, within the Gulf Islands National Park Reserve. We worked together to collect large stones from the shore and place them onto a wall above the low tide line. This wall allows for sediment to collect behind it, creating perfect clam habitat. Even in its early stages of restoration, this garden was teeming with life. Crabs, jellies and urchins are starting to call this place home. As we waded out to the garden wall, seaweed twisting between our toes, all I could think about were the people who once ate from these waters. It was amazing to learn that a barnacle scar from the original wall was dated and found to be at least 1,000 years old. This place holds inexplainable value and incredibly rich history. This place is and was sacred to local indigenous communities. This was not only their dinner table but their classroom, their gathering place and so much more. 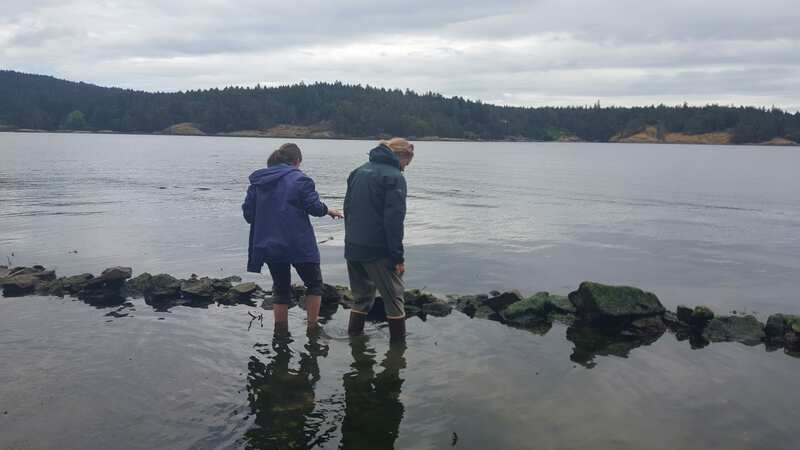 Clam garden restoration has the potential support food sovereignty and return youth to the land. 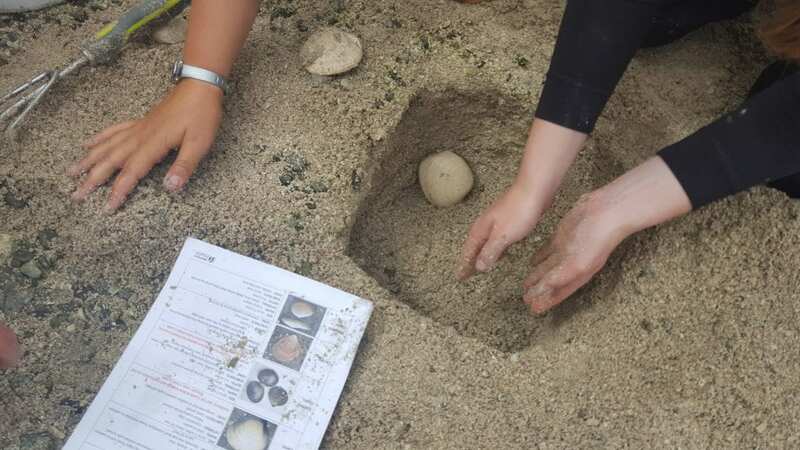 This is true education – intergenerational learning about the traditional harvest practices on the shores that their ancestors tended to. We also got face-to-shell with the clams, digging deep into the shell hash and screamed out with joy when we discovered clam after clam. 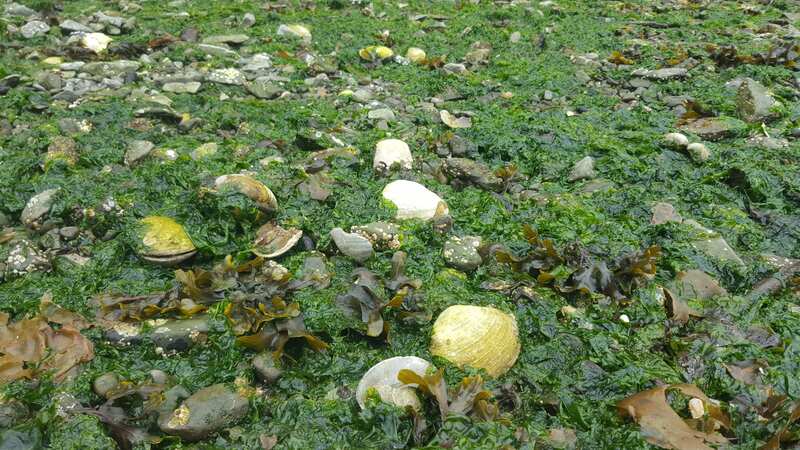 A few years ago, everything I knew about clam gardens came from a classroom or a piece of literature. After working for Parks Canada in Vancouver, my knowledge of this practice grew. But nothing measures up to digging into the shore and grasping a Butter Clam in my hands for the first time. Russel Island is one of the many sites in the Gulf Islands where clam gardens are being restored. The revitalization of this practice has been led by Cowichan and Coast Salish working groups along with Parks Canada. The success of the project is directly related to these long-term relationships with local communities. For meaningful conservation action, there needs to be more time and more money put towards relationship building. Or, timelines need to be flexible in conservation in order to get the job done right, and not just on time. This Redfish journey feels simultaneously scattered and continuous. We learn, question, reflect and move along to new spaces. Somehow each experience links to the next. As I sit here looking out at Patricia Bay on Vancouver Island, the clam gardens of Russell Island flicker in my memory. Patricia Bay was historically a bountiful clam harvesting site but over the past 30 years red tide has made clams toxic and unsafe to harvest. Agricultural run-off, sewage and oil pollute these waters. The source of these pollutants needs to be addressed, so that all beings can safely swim in these waters. 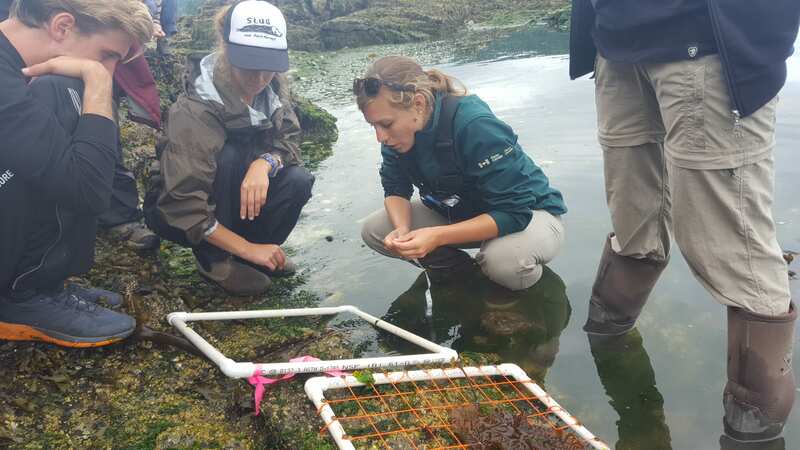 With a focus on restoration and relationship building across differences, I hope that one day, Patricia Bay will be a vibrant clam harvesting site as it once was.